In 1834 at the age of fifteen Grand Duchess Maria, the eldest daughter of Nicholas I and Alexandra, was given her own apartment in the Winter Palace. 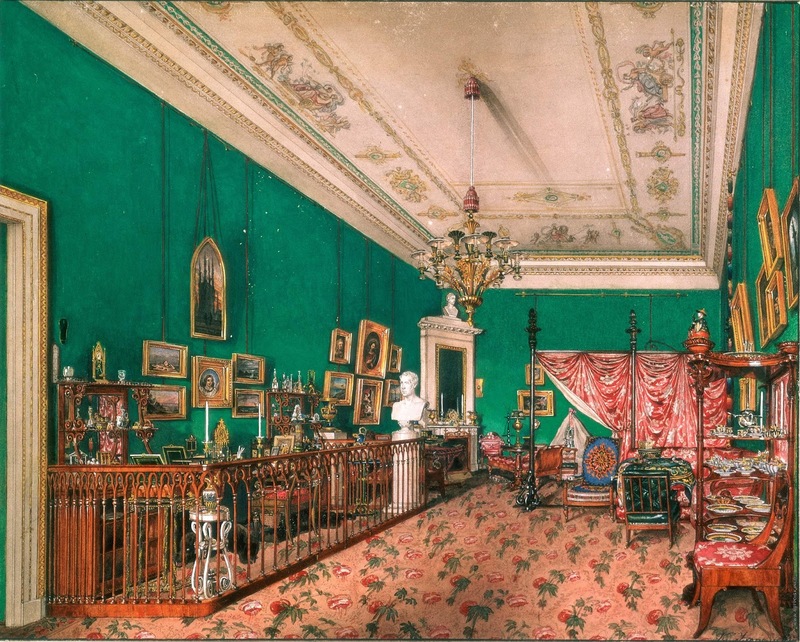 Her rooms were next to her brother Alexander in the west section, facing the Admiralty. 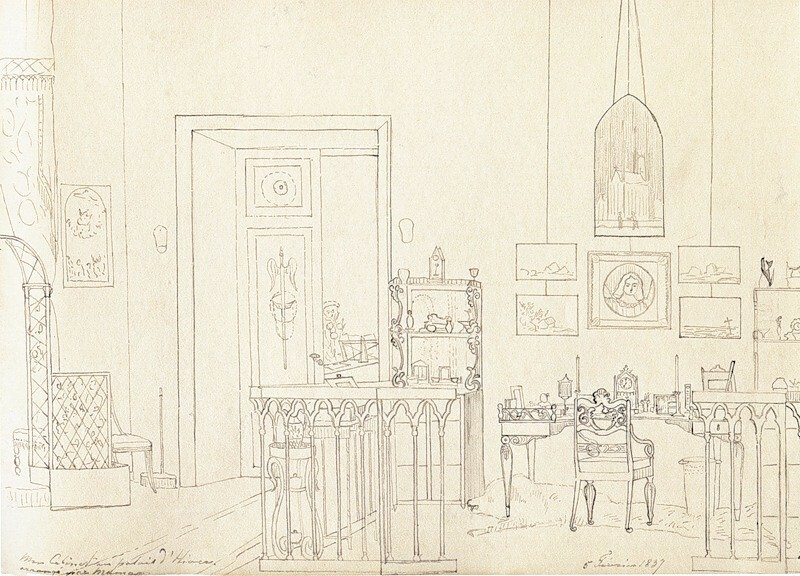 There are twenty-two drawings in a dark lilac leather album of interiors of various palaces, among others, sketched by Maria. 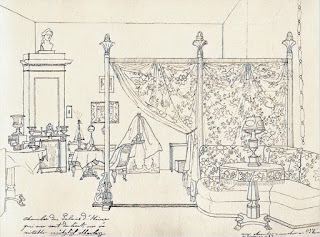 She completed two pencil drawings of her study/bedroom. 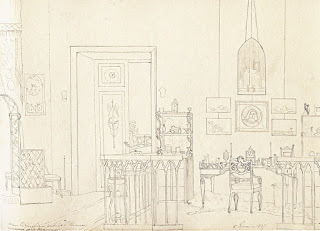 The sketch (below) of her desk and the door to her drawing room was signed February 5th 1837. The other drawing (below) of the far corner with her bed behind the curtains was done on February 21st. The railing was used in a number of rooms. The large number of paintings were by the Grand Duchess. Agreed! Was it to keep servants out or her in? What # would the room be on the plans? Her rooms pre 1837 fire were no. 168 and 169. Wooden Palace in Tsarskoe Selo or Pavlovsk?